A sticker attached to gaurd's door window. A sticker that was ignored for the day by many passengers. 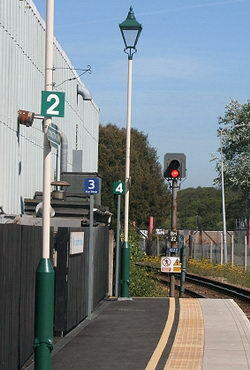 (left) On 18th May, train stop signs consisted of a 3-car stop and a 4-car stop. 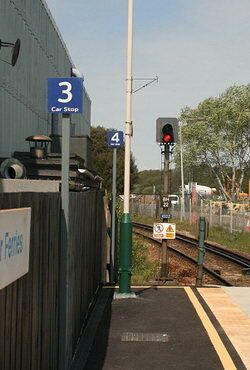 (right) On 22nd May, train stop signs consisted of a new 2-car stop, 3-car stop and a replaced 4-car stop. Finally, my thanks go to and all the staff at Bournemouth Traincare for providing a good send off for the units. Working day-in day-out for ~40 years, these units certainly gave a good innings. 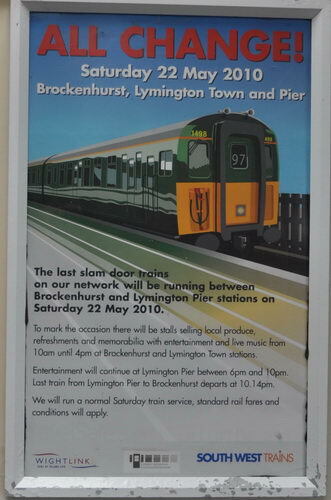 I, like many others, will remember the last day and we hope to see these units preserved and running again.